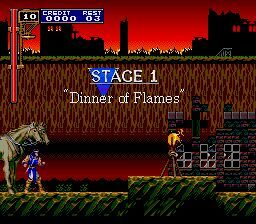 Castlevania: Rondo of Blood is an action adventure game for the Turbografx-CD. 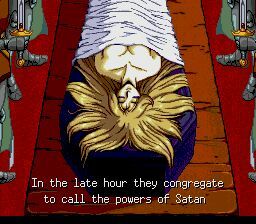 Hello and welcome to the Castlevania: Rondo of Blood English Translation Patch (PSP to TurboGrafx-CD). After many years of leaving this project abandoned I can happily say that this patch has reached it’s much needed 100% status! However the credits have not made it into this release of the patch (if ever) so in order to compensate for this inconvenience we have included the translation for the credits in the readme. 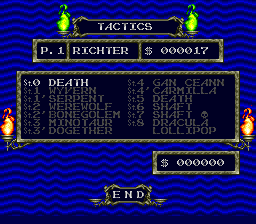 To make clear, this patch will translate the TurboGrafx-CD version of Castlevania: Rondo of Blood into English. Everything will be translated; even the voiced dialogue will be replaced with the official Konami English dub from Castlevania: The Dracula X Chronicles (PSP). However miscellaneous grunts will retain their original Japanese. It also replaces the old German narrator with the new narration that was in the PSP and VC release of the game. If you, for whatever reason, do not like this you can easily swap back the original narration (Track03) after it is done patching. 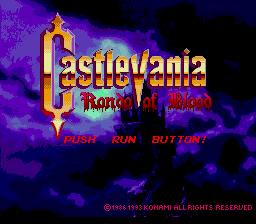 It requires that you apply it to an ISO/WAV/CUE archive of Akumajou Dracula X: Chi no Rondo (Castlevania: Rondo of Blood). Burnt Lasagna Production Directed the project and did all the audio work and some graphics hacking. cubanraul Original Hacking The director back in 2004 - 2006. Worked on some text/audio hacking. Tomaitheous Hacking His contributions are too numerous to list here. Please check the readme for a complete list. pemdawg Original Translation Worked on some early translation and text hacking in 2004 – 2005. DarknessSavior Translation Did the translation for the ferryman, signs, and the error message billboard in StageX. ReyVGM Graphics Made the new English graphics for the signs. Graphics Made the “Castlevania: Oops, Wrong Game!! !” title screen.